In The Strange Old House the magic key takes the children to a strange old house at night. They are worried. Who will they find there? Biff, Chip and Kipper Stories: Decode and Develop are an exciting new set of stories from Roderick Hunt and Alex Brychta. Full of humour and drama with a delightful mixture of familiar settings and brand new magic key adventures to inspire young readers. Featuring all your favourite characters, children will enjoy exploring the detailed humorous illustrations and be captivated by the storylines. These phonics-based stories are perfect for embedding and building on children's phonics knowledge. They contain high-interest vocabulary to support language development beyond Phase 5 of Letters and Sounds. Each book contains inside cover notes to help adults read and explore the content with the child, supporting their decoding and language comprehension development. Teaching notes on Oxford Owl support independent reading, guided reading, writing, and speaking, listening and drama activities. In Magic Tricks, find out if Wilf can fool a magician with his magic trick. Biff, Chip and Kipper Stories: Decode and Develop are an exciting new set of stories from Roderick Hunt and Alex Brychta. Full of humour and drama with a delightful mixture of familiar settings and brand new magic key adventures to inspire young readers. Featuring all your favourite characters, children will enjoy exploring the detailed humorous illustrations and be captivated by the storylines. These phonics-based stories are perfect for embedding and building on children's phonics knowledge. They contain high-interest vocabulary to support language development beyond Phase 5 of Letters and Sounds. Each book contains inside cover notes to help adults read and explore the content with the child, supporting their decoding and language comprehension development. 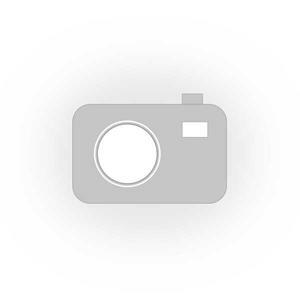 Teaching notes on Oxford Owl support independent reading, guided reading, writing, and speaking, listening and drama activities. Uncle Max has lots of tall tales. Will he enjoy a real adventure in A Tall Tale? Biff, Chip and Kipper Stories: Decode and Develop are an exciting new set of stories from Roderick Hunt and Alex Brychta. Full of humour and drama with a delightful mixture of familiar settings and brand new magic key adventures to inspire young readers. Featuring all your favourite characters, children will enjoy exploring the detailed humorous illustrations and be captivated by the storylines. These phonics-based stories are perfect for embedding and building on children's phonics knowledge. They contain high-interest vocabulary to support language development beyond Phase 5 of Letters and Sounds. Each book contains inside cover notes to help adults read and explore the content with the child, supporting their decoding and language comprehension development. Teaching notes on Oxford Owl support independent reading, guided reading, writing, and speaking, listening and drama activities. In The Time Capsule, what will the the children put in their own time capsule? Biff, Chip and Kipper Stories: Decode and Develop are an exciting new set of stories from Roderick Hunt and Alex Brychta. Full of humour and drama with a delightful mixture of familiar settings and brand new magic key adventures to inspire young readers. Featuring all your favourite characters, children will enjoy exploring the detailed humorous illustrations and be captivated by the storylines. These phonics-based stories are perfect for embedding and building on children's phonics knowledge. They contain high-interest vocabulary to support language development beyond Phase 5 of Letters and Sounds. Each book contains inside cover notes to help adults read and explore the content with the child, supporting their decoding and language comprehension development. Teaching notes on Oxford Owl support independent reading, guided reading, writing, and speaking, listening and drama activities. Who is the secret pop star and what is he running away from? 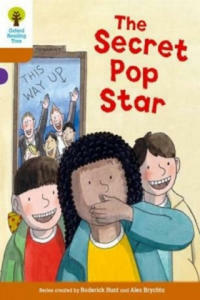 Can the children help him in The Secret Pop Star? Biff, Chip and Kipper Stories: Decode and Develop are an exciting new set of stories from Roderick Hunt and Alex Brychta. Full of humour and drama with a delightful mixture of familiar settings and brand new magic key adventures to inspire young readers. Featuring all your favourite characters, children will enjoy exploring the detailed humorous illustrations and be captivated by the storylines. These phonics-based stories are perfect for embedding and building on children's phonics knowledge. They contain high-interest vocabulary to support language development beyond Phase 5 of Letters and Sounds. Each book contains inside cover notes to help adults read and explore the content with the child, supporting their decoding and language comprehension development. Teaching notes on Oxford Owl support independent reading, guided reading, writing, and speaking, listening and drama activities. Chip, Wilf and Nadim are Cub Scouts in A Good Turn. 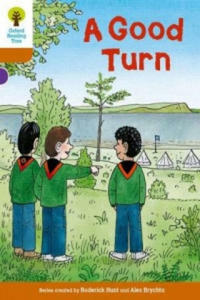 Can they do a good turn when the magic key takes them to the very first Scout camp? Biff, Chip and Kipper Stories: Decode and Develop are an exciting new set of stories from Roderick Hunt and Alex Brychta. Full of humour and drama with a delightful mixture of familiar settings and brand new magic key adventures to inspire young readers. Featuring all your favourite characters, children will enjoy exploring the detailed humorous illustrations and be captivated by the storylines. These phonics-based stories are perfect for embedding and building on children's phonics knowledge. They contain high-interest vocabulary to support language development beyond Phase 5 of Letters and Sounds. Each book contains inside cover notes to help adults read and explore the content with the child, supporting their decoding and language comprehension development. Teaching notes on Oxford Owl support independent reading, guided reading, writing, and speaking, listening and drama activities. 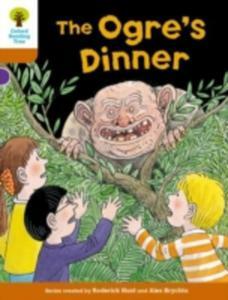 The magic key takes the children to a land of ogres in The Ogre's Dinner. Will Lee find his first adventure too scary? What do ogres eat for dinner? Biff, Chip and Kipper Stories: Decode and Develop are an exciting new set of stories from Roderick Hunt and Alex Brychta. Full of humour and drama with a delightful mixture of familiar settings and brand new magic key adventures to inspire young readers. Featuring all your favourite characters, children will enjoy exploring the detailed humorous illustrations and be captivated by the storylines. These phonics-based stories are perfect for embedding and building on children's phonics knowledge. They contain high-interest vocabulary to support language development beyond Phase 5 of Letters and Sounds. Each book contains inside cover notes to help adults read and explore the content with the child, supporting their decoding and language comprehension development. Teaching notes on Oxford Owl support independent reading, guided reading, writing, and speaking, listening and drama activities. Kipper and Lee take the dogs for a walk and make an exciting discovery in A Lucky Find. Biff, Chip and Kipper Stories: Decode and Develop are an exciting new set of stories from Roderick Hunt and Alex Brychta. Full of humour and drama with a delightful mixture of familiar settings and brand new magic key adventures to inspire young readers. Featuring all your favourite characters, children will enjoy exploring the detailed humorous illustrations and be captivated by the storylines. These phonics-based stories are perfect for embedding and building on children's phonics knowledge. They contain high-interest vocabulary to support language development beyond Phase 5 of Letters and Sounds. Each book contains inside cover notes to help adults read and explore the content with the child, supporting their decoding and language comprehension development. Teaching notes on Oxford Owl support independent reading, guided reading, writing, and speaking, listening and drama activities. 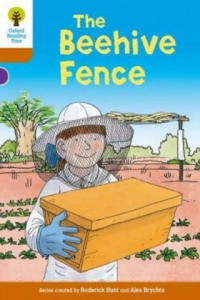 Biff finds herself in an adventure by herself in The Beehive Fence. She has to overcome her fear of bees to help some villagers in Africa to protect their crops. 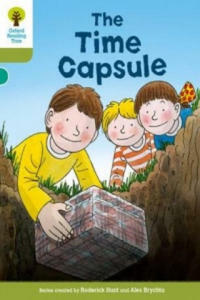 Biff, Chip and Kipper Stories: Decode and Develop are an exciting new set of stories from Roderick Hunt and Alex Brychta. Full of humour and drama with a delightful mixture of familiar settings and brand new magic key adventures to inspire young readers. Featuring all your favourite characters, children will enjoy exploring the detailed humorous illustrations and be captivated by the storylines. These phonics-based stories are perfect for embedding and building on children's phonics knowledge. They contain high-interest vocabulary to support language development beyond Phase 5 of Letters and Sounds. Each book contains inside cover notes to help adults read and explore the content with the child, supporting their decoding and language comprehension development. Teaching notes on Oxford Owl support independent reading, guided reading, writing, and speaking, listening and drama activities. In On the Stage a show about the Wild West leads Biff, Wilf and Wilma to an adventure on a stagecoach. 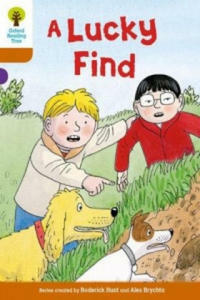 Biff, Chip and Kipper Stories: Decode and Develop are an exciting set of stories from Roderick Hunt and Alex Brychta. Full of humour and drama with a delightful mixture of familiar settings and brand new magic key adventures to inspire young readers. Featuring all your favourite characters, children will enjoy exploring the detailed humorous illustrations and be captivated by the storylines. These phonics-based stories are perfect for embedding and building on children's phonics knowledge. They contain high-interest vocabulary to support language development beyond Phase 5 of Letters and Sounds. Each book contains inside cover notes to help adults read and explore the content with the child, supporting their decoding and language comprehension development. Teaching notes on Oxford Owl support independent reading, guided reading, writing, and speaking, listening and drama activities. 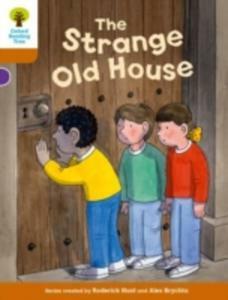 In The Strange Old House The Magic Takes The Children To A Strange Old House At Night. Who Will They Find There? Exciting Phonics-based Stories In New Biff, Chip And Kipper Stories: Decode And Develop Are Perfect For Embedding And Building On Children's Phonics Knowledge. Brand New Adventures To Engage, Motivate And Inspire Developing Readers. The Magic Key Takes The Children To A Land Of Ogres In The Ogre's Dinner. What Do Ogres Eat For Dinner? Exciting Phonics-based Stories In New Biff, Chip And Kipper Stories: Decode And Develop Are Perfect For Embedding And Building On Children's Phonics Knowledge. Brand New Adventures To Engage, Motivate And Inspire Developing Readers.